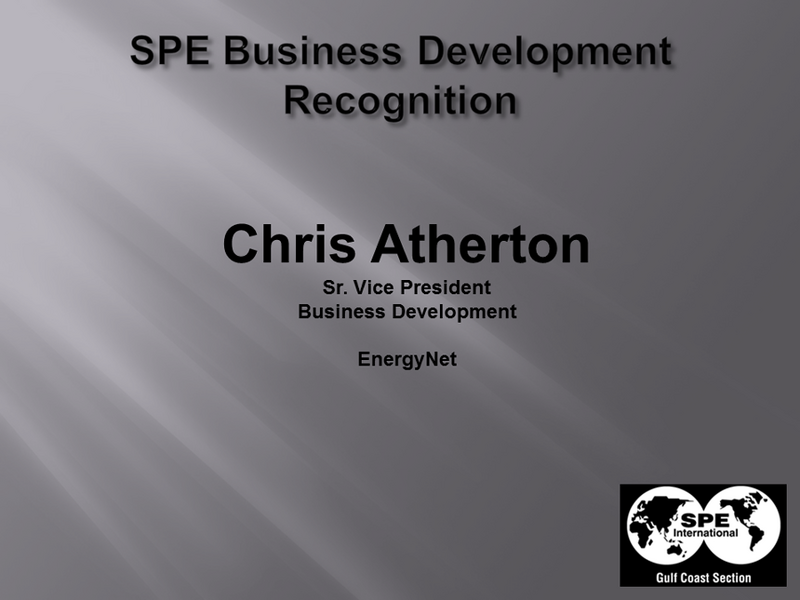 "Chris has been part of the SPE Business Development group since 2005. He has served as treasurer for 2 years, chairman of the program committee for two years and did an outstanding job chairing this group for the past 3 years. 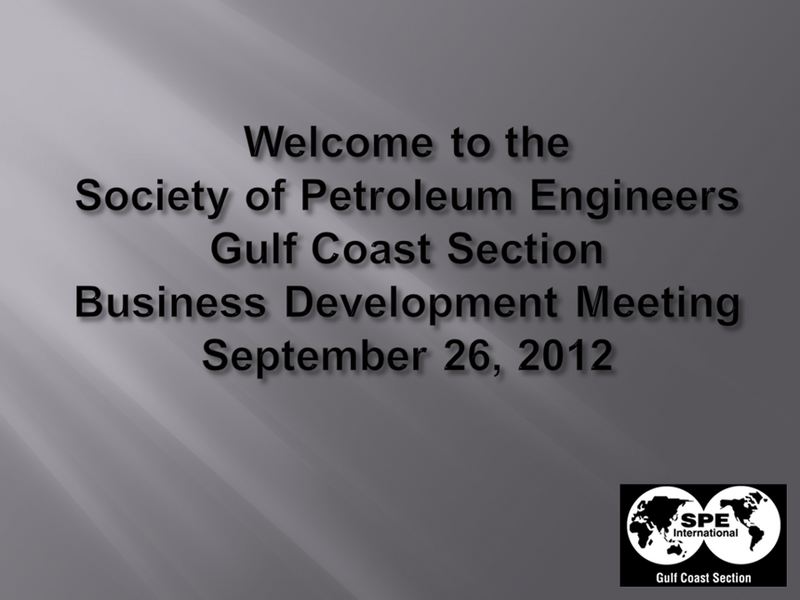 In 2011 he was awarded the SPE Gulf Coast Section Service Award. Chris currently is Vice President of Business Development and manages the Gulf Coast Basin for EnergyNet here in Houston, where he has been involved in almost 2000 individual transactions totaling close to $1 Billion. He graduated from Texas State University, with a business management and marketing degree. Prior to EnergyNet, he worked at the Enron Corporation for a number of years. He is also an active member of the IPAA, Texas Energy Alliance and Houston Producer's Forum. He is currently serving this committee as chairman of our newly formed advisory group." Several of the slides from Mr. Mullican's introduction are included below. Founded in 1957, the Society of Petroleum Engineers is the largest individual-member organization serving managers, engineers, scientists and other professionals worldwide in the upstream segment of the oil and gas industry. 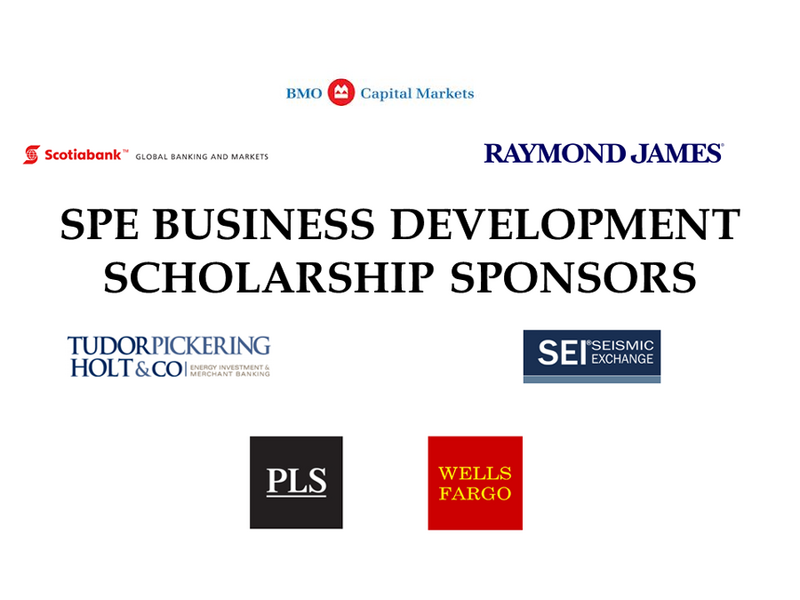 They offer unique opportunities to contribute to the profession through programs and activities. 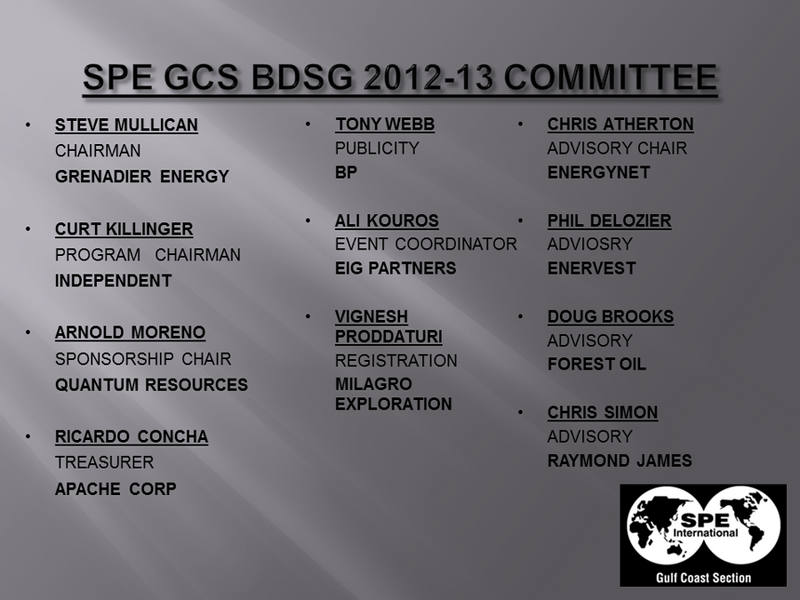 More information about the society is available on their website: http://www.spe.org.